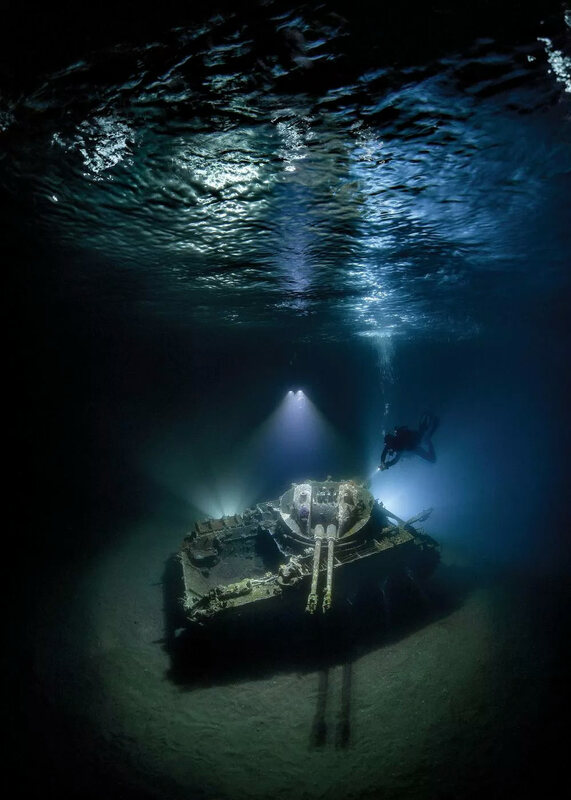 With over 2,100 international entries, the winners of Scuba Diving Magazine’s Underwater Photo Contest have been announced and the photos will take your breath taken away. Scuba Diving Magazine has been hosting this contest for the past 14 years and every year photographers of all skill levels are encouraged to submit their best photos. 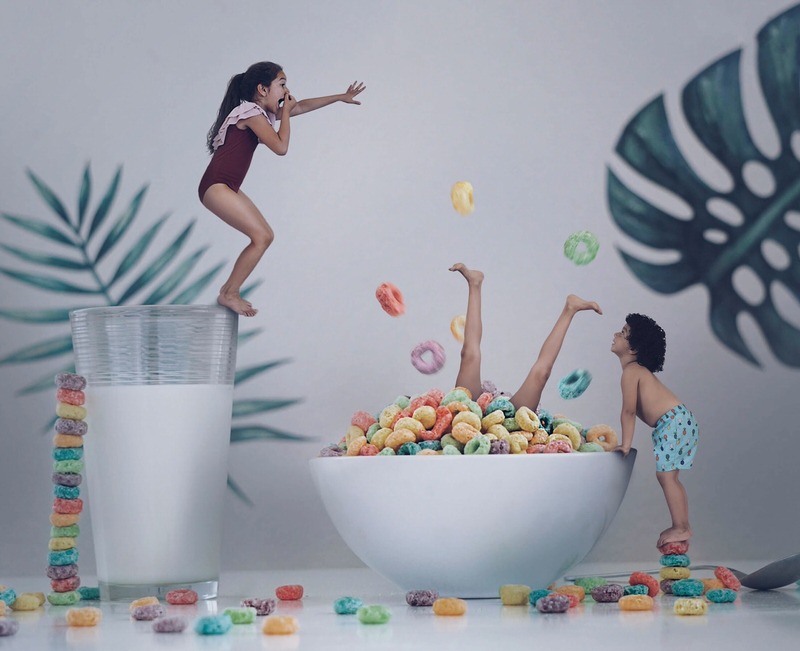 Their underwater photography skills were put to the test as they had the ability to showcase their work in four categories – compact, wide-angle, conceptual, and macro. 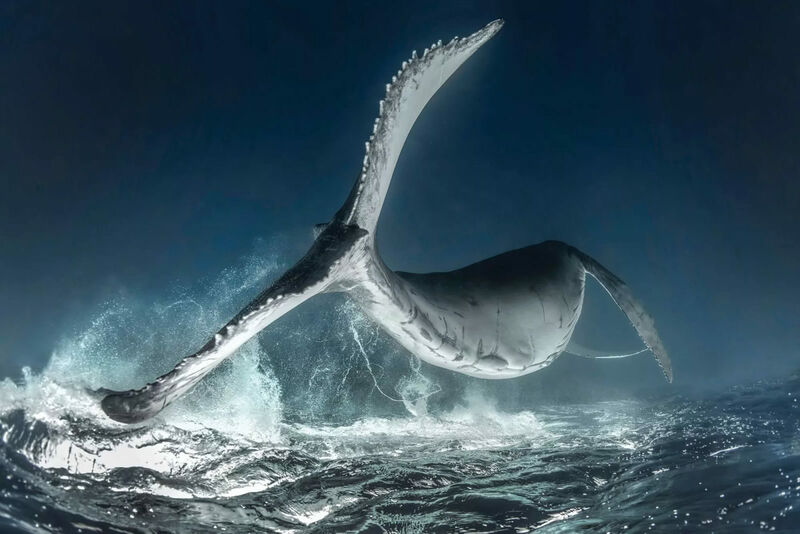 The Grand Prize award went to Rodney Bursiel’s incredible photo of a humpback whale leaping above the ocean surface in Tongo. Aside from gaining the overall winning title, he received $1,000 in cash and a liveaboard trip with Aggressor. Below, you can also take a look at the other winners of each category to see the magical world they encounter every time they dive into the water. © Rodney Bursiel – After spending an entire day searching for whales, our boat was gifted with a magical encounter with a curious and interactive mother and calf. As the mother hovered at 30 feet, her inquisitive calf would make its way to the surface to breathe, coming in close to inspect each of us. Some of my favorite photos of marine life are shot from behind; here I attempted to create a unique perspective by flipping the image upside down so the whale appears to be floating just above the surface in full breach. 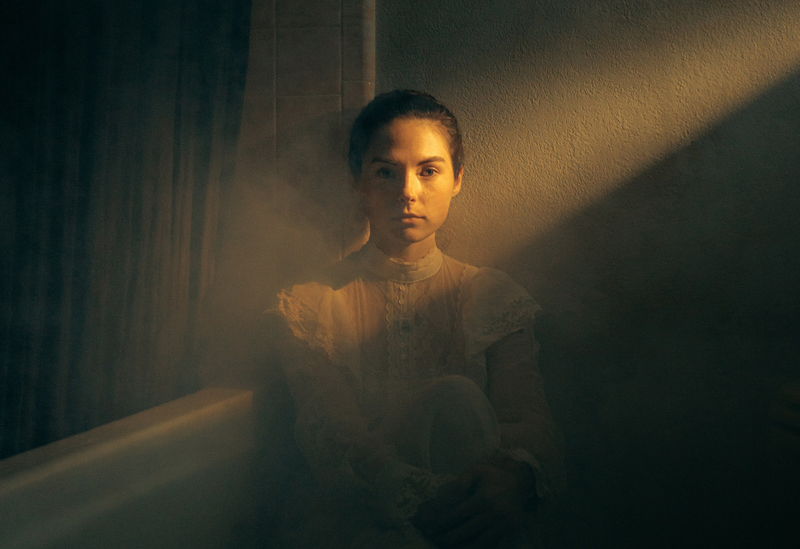 Storytelling isn’t always about the reality of what was seen — I hope the image shares with others my take on the mystical world I find myself in each time I dip below the surface. © Jamie Hall – At a dive site called South Lagoon, I noticed a rock-and-coral formation in a sandy area. As I peered into a hole in the middle, I saw one of the largest and most ­curious giant moray eels (Gymnothorax javanicus) I had ever come across. I moved in cautiously; as I did, the moray stared straight into my lens, not breaking contact for a moment. I was anxious not to stress the animal, so I took time to slowly draw closer. 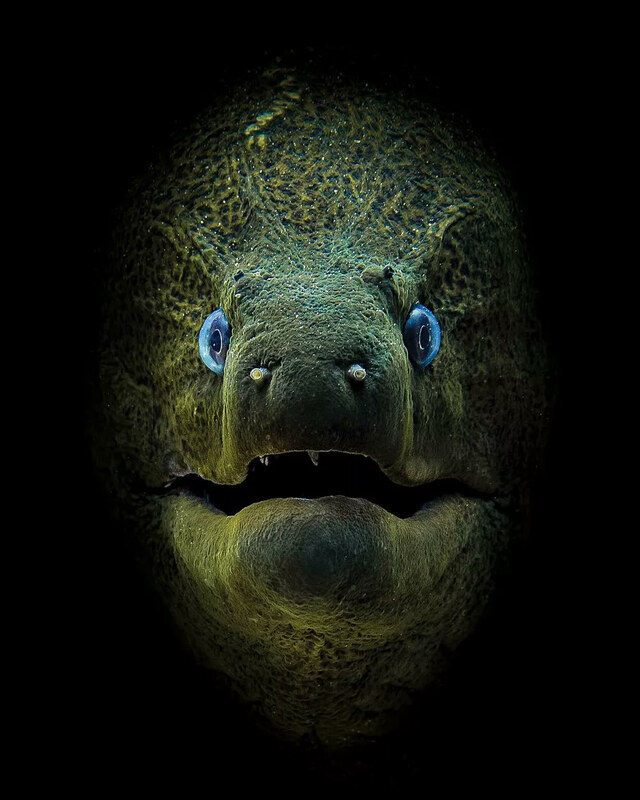 I clicked a few shots as the eel continued to stare and was over the moon when I viewed the image. © Yap Katumbal – I was diving at a site called TK3 in Lembeh Strait when I spotted this beautiful ­juvenile coconut octopus at around 40 feet — the tiniest coconut octopus I had ever seen, about 2 inches long. It was hiding in a glass tube that was lying on the bottom, and it looked like it was just waiting to be photographed. I decided to use my dive light in combination with an 8+ macro lens. I put the light on the right side of the tube, and the effect was great, with only the baby octopus and the tube in focus. 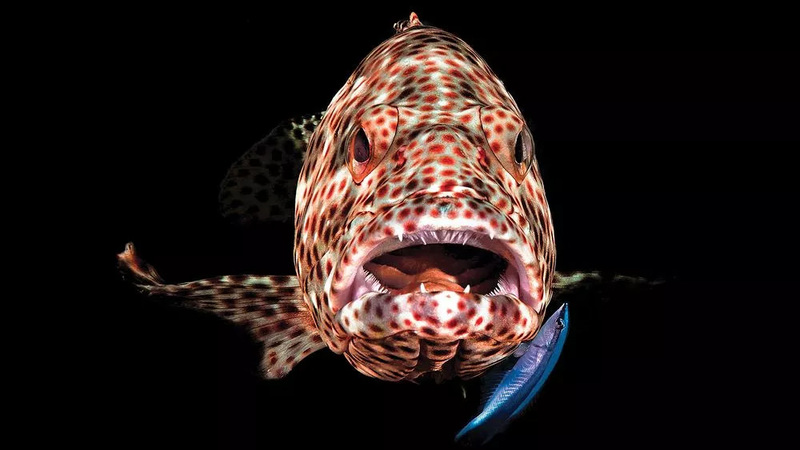 © Ferenc Lorincz – This grouper was waiting with its mouth open for the cleaner fish at a ­cleaning station. I lit the fish from both sides with my flashes, allowing only a little bit of light in the back to create a black background. © Alex Dawson – In 1999, the Jordanian Royal Ecological Society sank an M42 Duster anti-aircraft tank close to shore just north of Tala Bay, a perfect snorkel and dive attraction. The wreck became home to many inhabitants of the reef shortly after its sinking — maximum depth at high tide is only 20 feet. 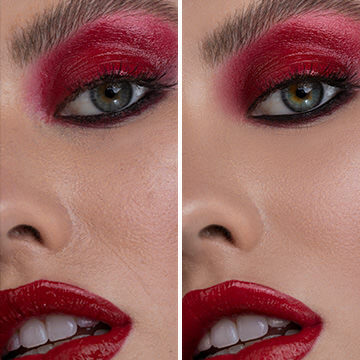 I always work with off-camera lighting because I think it gives a better depth to images than using on-camera strobes. 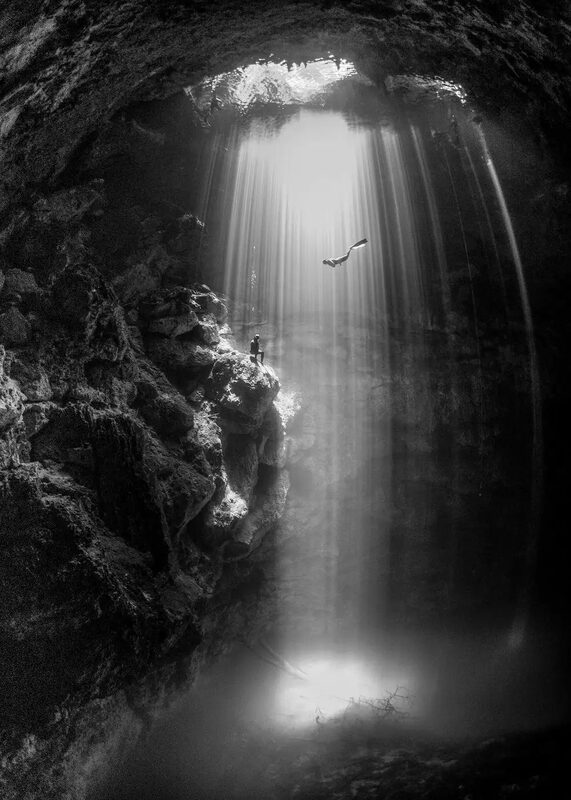 © Karen Smith – Near Tulum lie numerous underwater cave systems known as cenotes. The Pit is the deepest of these and is sought out by divers because of its beautiful rock formations and filtered light. Our dive started with the sun directly above. We descended into a hydrogen sulfide layer of decomposing trees at 100 feet, which can be seen below, and then up through a shallow halocline. As I ascended, I noticed freedivers practicing; within 15 seconds and three shots, the two lined up perfectly. © Tom St. George – Occasionally, following heavy rainfall, tannic runoff stained by decaying leaf ­litter enters Cenote Carwash, turning it a vibrant reddish-orange. 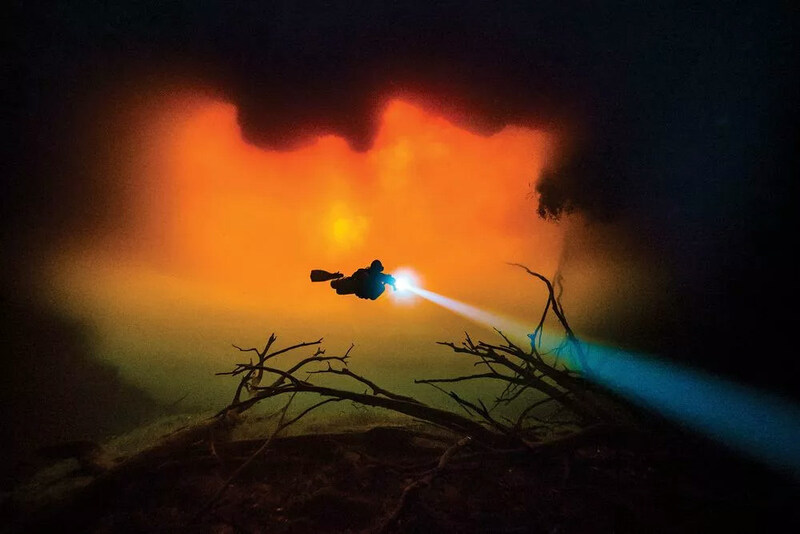 This tannic water blocks much of the daylight, and the cenote becomes darker than normal — it feels a bit like diving on Mars. 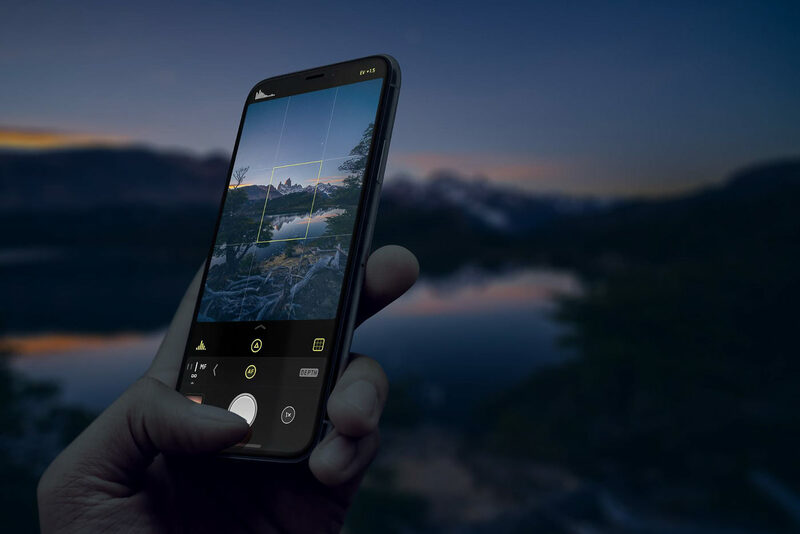 Shot with ambient light only, this image required pushing the camera quite hard — shooting almost wide open, dragging the shutter, and pushing the ISO to 6400. The low-light settings also help accentuate the beam from the diver’s torch. © Conor Culver – I came across this coconut octopus while muck diving; the creature perfectly posed, turning deep red and wrapping its tentacles up symmetrically. 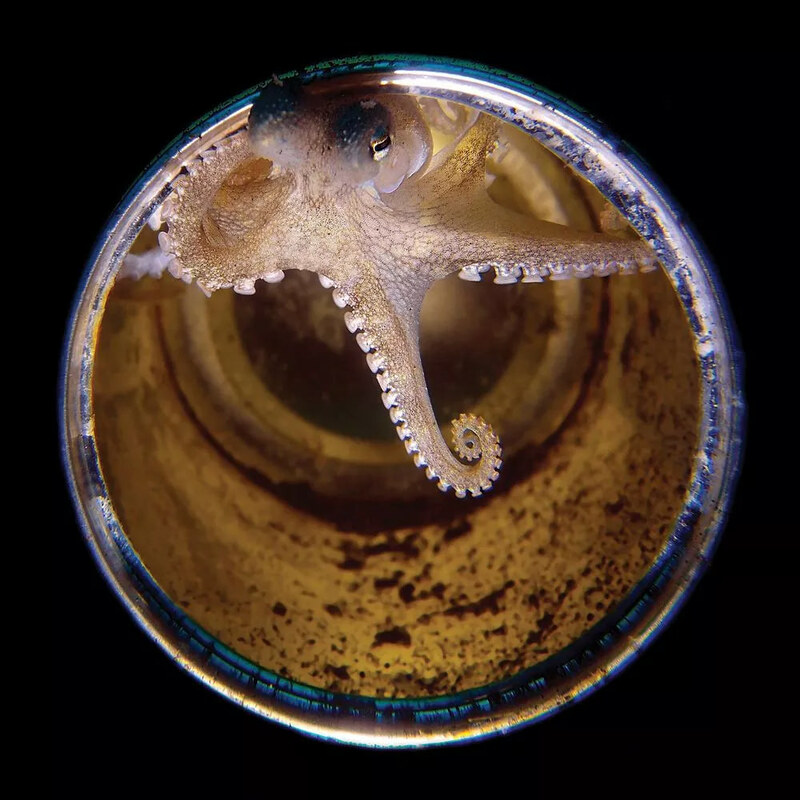 Ultimately I would create a “home” for it with a small bottle I found diving the USS Baja California off Naples, Florida, to reference how these creatures are often seen: in our disregarded trash. © Lucie Drlikova – This was photographed in Prague in a 26-foot-deep swimming pool covered by a very big piece of gray fabric. 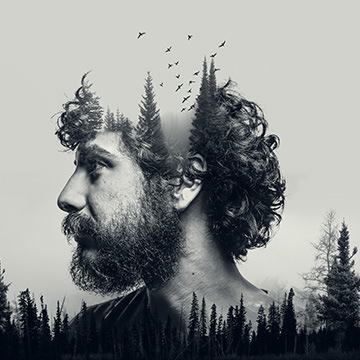 The image is titled “What Matters Most Is How You See Yourself.” It does not matter what other people think; most important is what you think, how you see yourself. I used the water’s surface as a mirror for the reflection, and turned the image by 90 degrees to create the effect of a woman in front of a mirror. 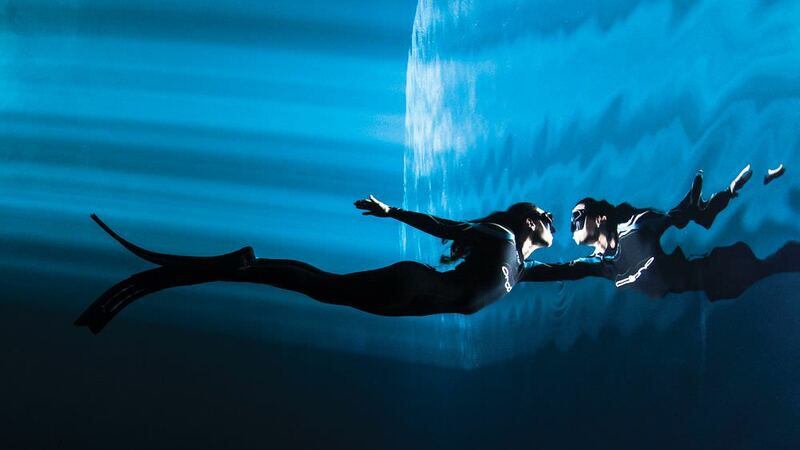 © Christian Vizl – The model is a champion freediver from Chile; the way she moves underwater is mesmerizing. This image was taken at midday, when the sun rays at the Pit cenote are best. There were many challenges — the first was to get the angle of the rays to create the illusion of entering a magical world. Then the model had to approach the surface very slowly (and I had to hold my breath) so we did not disturb the mirror effect. I used a relatively high shutter speed to capture the fine details of the rays. © Cai Songda – This shot reminds me how a ­seemingly boring night dive became one of my most memorable ones. 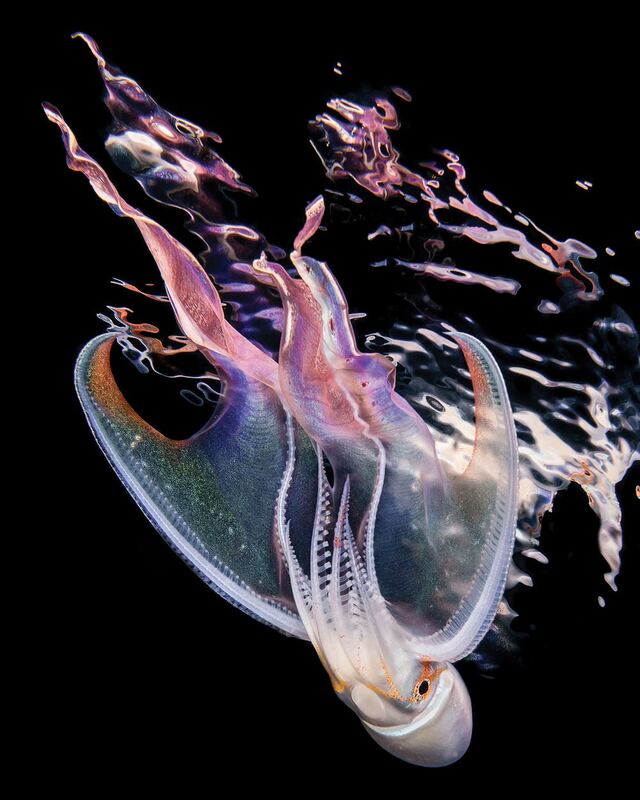 Ascending from nearly 100 feet with nothing to show, I was doing my safety stop when I spotted this ­blanket octopus. 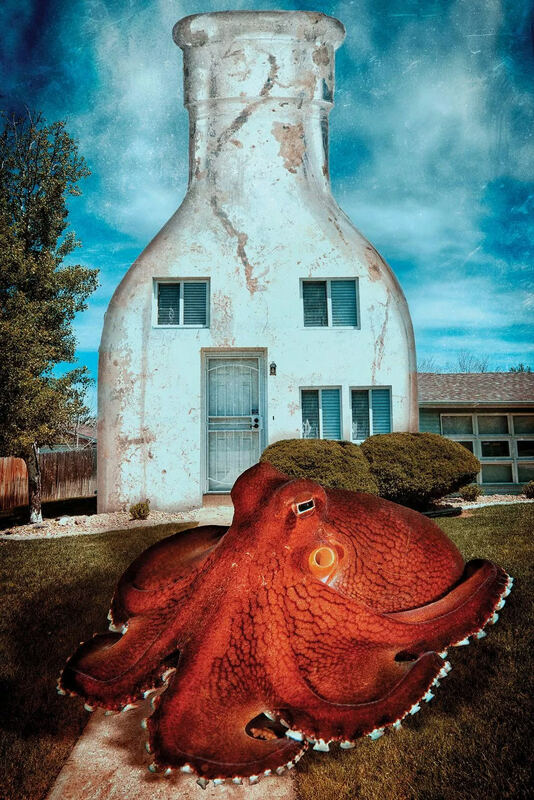 At the time, it amazed me that all the necessary elements for a wonderful shot seemed to come together: Colors were vibrant, the reflections alluring, and the octopus very cooperative, as if striking a pose. © Christian Bachmann – The area around Bunaken Island, off North Sulawesi, Indonesia, is famous for its spectacular wall dives. 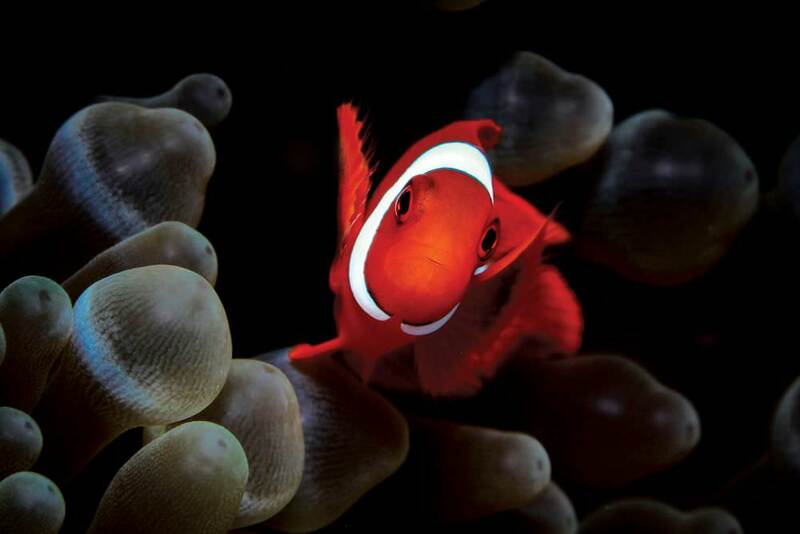 It was at the end of one of these dives, on a deco stop, that I discovered this maroon clownfish. With its fins fluttering at a rapid pace, ­initially it was difficult for me to get my camera to focus, especially on the fine details. With patience and a little luck, I was able to get this shot, showing its distinctive gleaming white bar, and giving the impression that the fish is actually flying. 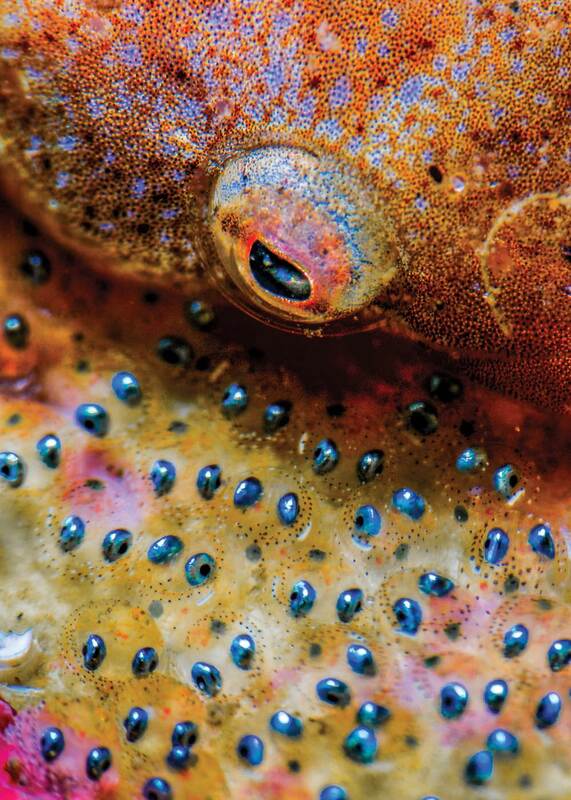 © Rafael Fernandez Caballero – Due to its tiny size and shy nature, photographing a clingfish is complicated. After finding a clingfish with eggs, I waited for weeks until I could see the eyes inside — being careful not to wait too long. When the time was right, I took my best macro lens and ­greatest-­magnification wet lens, and tried to capture the essence of a mother taking care of her descendants. From portraits of marine life to underwater caves, this beautiful and colorful life isn’t something you see every day. 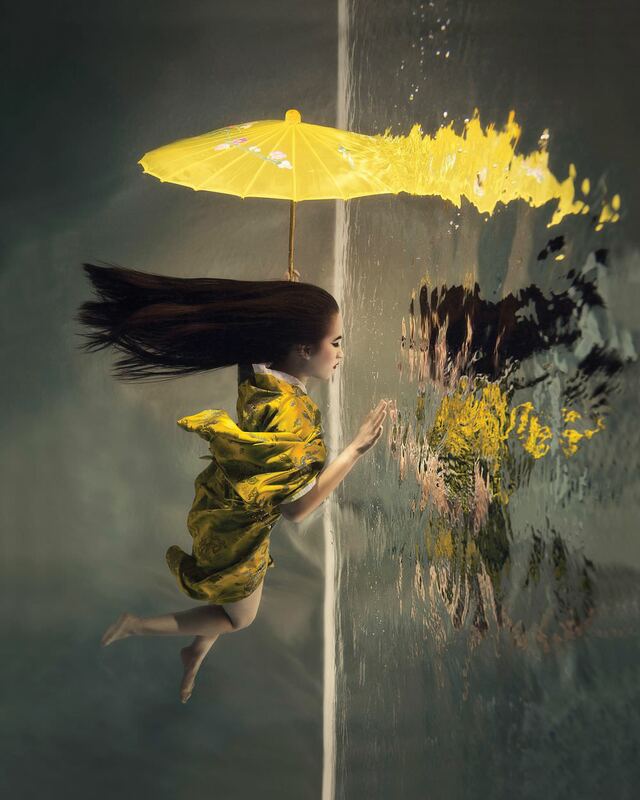 The Underwater Photo Contest challenges sea and ocean photographers to transport people to another world. 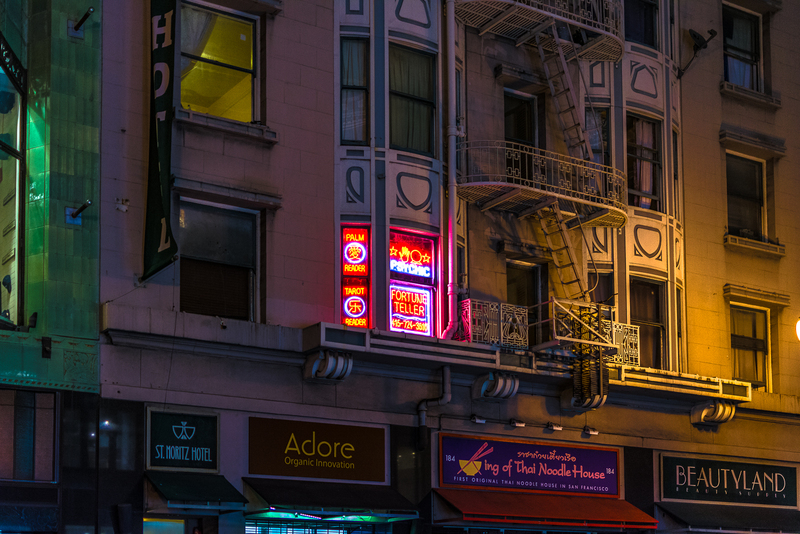 These photos give an insight of the ambiance below us.